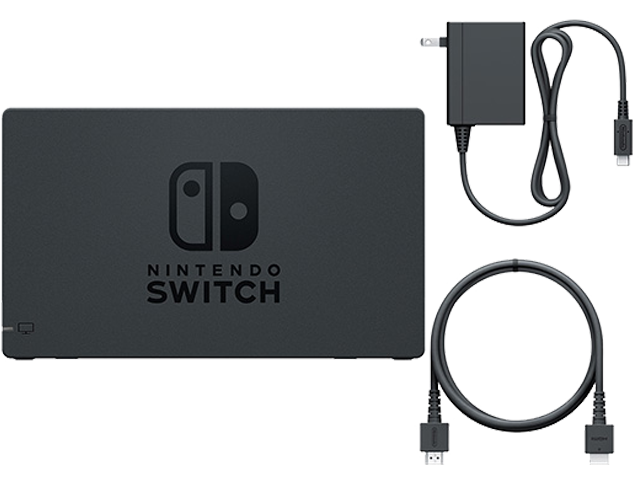 Includes a Nintendo Switch™ Dock, Nintendo Switch AC adapter, and an HDMI cable. (Note that one of each of these items are included with each Nintendo Switch system.) If you’d like to use your Nintendo Switch with multiple TVs in the house, this set provides everything you need to dock your system and play in TV mode. Nintendo Switch console and Joy-Con™ controllers are NOT included.